Interested in video streaming platforms, also called online video platforms (OVP), but not sure where to start? When it comes to online video, there are many ways to distribute your content. The easiest approach is to use non professional social video platforms. However, these platforms have many significant downsides. More demanding users will find these services lacking. Businesses looking to guarantee high quality live broadcast to a range of viewers will require more features and control than free social platforms allow. For those broadcasters seeking greater control and personalized features, a video hosting platform is the way to go. Video hosts not only provide a space for your videos to live online. They may also provide streaming solutions that help you to deliver that content to your viewers. Comparing OVP: Which is best for you? In this essay, we’re comparing OVP from a few different providers, including Vzaar, Wistia, and DaCast. Each online video platform (OVP) has strengths and downsides. Obviously we hope you’ll consider giving DaCast a try. That said, our goal is to provide up-to-date information to help you while you’re comparing OVP for yourself. We’ve compiled this information directly from user reviews, company websites, and our experiences using these platforms. Let’s get started by comparing OVP from these three providers, starting with Vzaar. Vzaar is a video hosting service launched in 2007. Originally, Vzaar served sellers on the online auction site eBay. It’s like an online bazaar for videos, hence the name Vzaar. Today, this platform offers their services to businesses and other organizations in need of video hosting. It focuses on the education, media, publishing, and e-commerce industries. In 2012, Vzaar opened a sales and support office in the United States. The company is based in England. Bulk uploading: Add up to 10 videos at once. 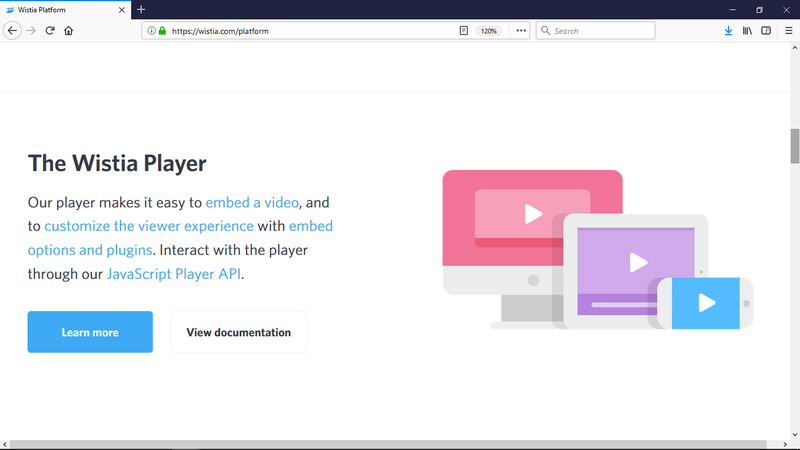 API: Use the Vzaar API to integrate their video platform into your custom apps. This allows coding of personalized solutions for web, mobile, and desktop. Dropbox uploader: Add files to a dedicated Dropbox folder to simplify uploading on-the-go. You can add files and then leave, knowing that Vzaaar stores them all. Custom video player: Customize Vzaar video player with different colors and button options. You can also integrate subtitles in multiple languages into your programs. HTML5: The video player automatically detects the video standards supported by the viewer. It delivers HTML5 video when needed. Video retains functionality on mobile devices without flash support. Dual encoding: Videos on Vzaar are encoded in two bitrates. This means that users with different internet speeds will automatically receive the file suited to them. This minimizes buffering and hastens loading times. Privacy controls: Vzaar’s privacy control features include basic access control and domain restrictions. The service also supports encrypted RTMP streams (RTMPe) and HTTPS embed codes. According to multiple reviews, Vzaar’s best features come in the form of monetization, SEO, and video lead generation. Monetization is provided via a partnership with MPP Global Solutions. This e-commerce firm allows users to create paywalls on their site. The site prompts viewers to pay before accessing content. This service requires an additional fee to access. When it comes to SEO, Vzaar supports basic tagging for search engines. It’s simple to create a video sitemap for your content as well. For lead generation, Vzaar is one of the better platforms available. It supports gathering email addresses in the video window. These pop-up windows are simple to create and effective for gathering information from viewers. They also support embedding CTAs (calls to action) at the end of your videos. Users mention these as among the platform highlights. As far as pricing, Vzaar offers four tiers. The most basic is the Self-service package. This platform includes 250 GB of bandwidth, 250 GB of storage, and basic features (including video analytics and email support) at the cost of $25 per month. 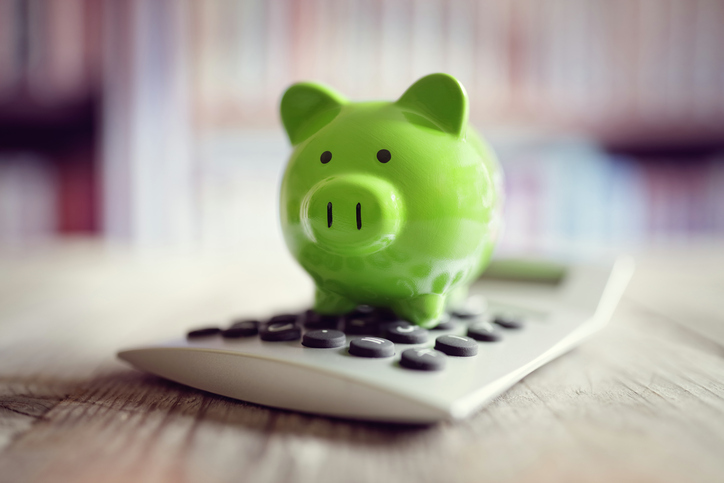 You can save $50 by paying annually. Five users can access the account. However, this tier does not include HLS encoding software (necessary for reaching certain devices), security, advertising, and many other features. The third tier for Vzaar is called Enterprise. It costs $500 per month (save $1000 by paying annually). This tier offers 4 TB or more of bandwidth, 2 TB or more of storage, and a personal account manager. Most notably, this plan includes live streaming and Ultra HD 4K delivery. This plan also includes migration assistance, multiple domains, and access for more than 20 users. The final tier is the Custom package. You can contact Vzaar directly to inquire about this high-end package. Vzaar’s overage bandwidth rates cost between $.50 to $1.00 per GB. It also offers Flexible Bandwidth Accounts for users who anticipate fluctuating bandwidth needs in a given year. Despite Vzaar’s great features, the streaming platform does have a number of downsides. One major drawback of Vzaar is that the Self-service and Premium packages do not support live streaming video broadcasts. The more expensive plans do now offer live streaming. However, these are likely not viable options for individuals and small to medium-sized business. This is a big oversight in an era when streaming is becoming increasingly popular. Streaming video is easy to add to existing workflows as the technology becomes more standardized and integrated. When comparing OVP, you’ll find that other competitor platforms (including DaCast) do integrate live streaming services at accessible rates. Reviewers also note that the platform sometimes experiences caching issues. Users sometimes have to reboot to use the platform. Additionally, users must manually style CTAs at the end of videos using Java. This is a somewhat inelegant solution. The second platform for comparing OVP is Wistia. Wistia is a video hosting platform that was founded in 2006 by two college students. Originally, the platform targeted helping filmmakers collaborate online. However, the service has evolved into a hosting service aimed at business and professional users. Wistia is especially focused on integrations with other marketing and education platforms. The company is based in Massachusetts. The ability to replace a video with a new version without having to replace video embed codes. One of Wistia’s headline features is the “heatmap.” This allows you to see which parts of the video the viewer skipped, watched, and re-watched. Over dozens and hundreds of viewers, these heatmaps provide actionable information on when users begin to get bored and drop off. Another feature cited by multiple reviewers is integration with HubSpot. This setup can automatically trigger email workflow funnels if certain customers watch more than a certain percentage of a video. For gauging engagement and implementing sales funnels, Wistia is quite useful. SEO is also a highlight for Wistia. Users appreciate the backlinking feature. It kicks in when other people embed your Wistia videos on other people’s websites. The Pro plan, which costs $199 per month, targets “professionals improving their websites with video.” This plan includes storage space for 10 video (free) and unlimited videos ($.25 per video per month after the first 10). It includes all standard features and the same 200 GB of monthly bandwidth. Notably, this plan does not use a Wistia-branded video player. Instead, it is a white-label service. For the right user, Wistia can be a good fit. However, the platform has a number of drawbacks. Among the biggest of these is the lack of any live streaming functionality. Like most Vzaar packages, Wistia is a video-on-demand platform only. It does not support live broadcasting in any way. Additionally, the platform hosts a maximum of only 500 videos. Some reviewers have noted bugs in the marketing integrations platform. The analytics and reporting are detailed. However, users report difficulties in manipulating these analytics into actionable information. When comparing OVP, we hope you’ll consider DaCast. Launched in 2010 after two years of development, DaCast is based in San Francisco with another office in Paris. 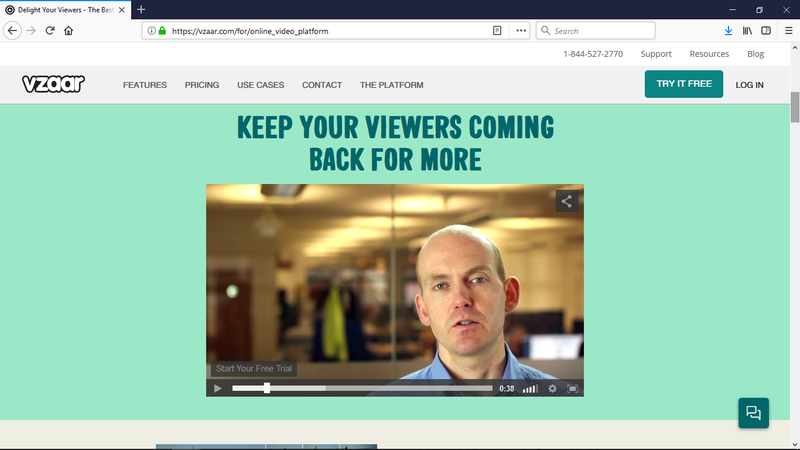 Like Vzaar and Wistia, DaCast offers full on-demand video hosting. But that’s not all! DaCast “Streaming as a Service” offers live streaming at all plan levels. 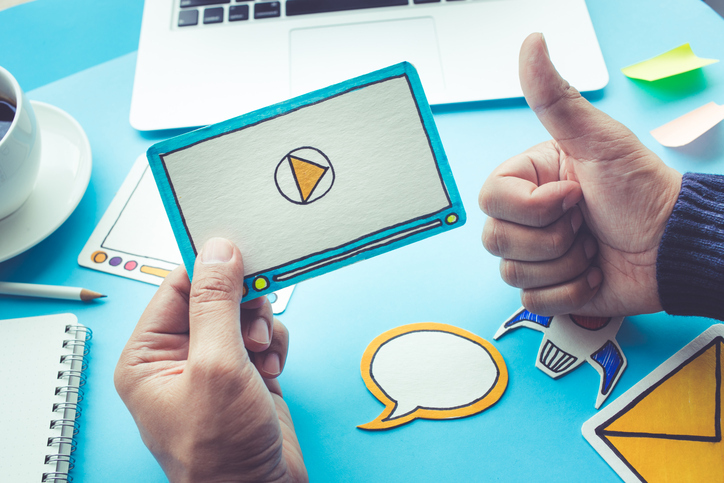 Live streaming video has become a buzzword for marketers and communicators over the last few years, and with good reason. It’s a powerful means of telling a story. DaCast targets both individual professional broadcasters and small to medium-sized businesses. Overall, DaCast is an easy-to-use, affordable platform. It’s a white-label service with many high-end features offered at low rates. As a provider, the company offers two main services: video hosting and live streaming video delivery with all plans. This is just one of the aspects that distinguishes DaCast from Vzaar and Wistia. The DaCast platform offers a number of notable features. As mentioned above, it is a white-label platform. This means that all videos are hosted without branding. And that means that you can customize and promote your own content and branding professionally and easily. Monetization is also a key feature. Broadcasters can use both live and on-demand videos to directly drive revenue. We offer a paywall method for pay-per-view billing. This is ideal for events like conferences, sporting events, and concerts. Additionally, you can use a subscription model. This allows you to charge weekly, monthly, or yearly fees for ongoing access to a library of videos. This is ideal for trainings, classes, and similar programs. Another draw of DaCast is the fully-featured video API. This API allows you to build your own applications around the DaCast platform. For example, the API allows you to integrate your DaCast-hosted video content into mobile, web, or desktop apps. You can also use the API to integrate streaming and online video into existing workflows with little fuss. Integration is simplified via comprehensive documentations, code samples and a sandbox testing environment. Another highlight of the DaCast platform is the Akamai CDN (content delivery network). This live streaming CDN is a global network of servers that delivers your content to viewers from a closer geographic location. Basically, it ensures that content delivery with minimal buffering and maximum speed. The Akamai CDN is one of the most highly regarded in the world. In total, it has a network of more than 200,000 servers to ensure a rapid and smooth delivery of content. Finally, DaCast offers in-house, comprehensive support from both the San Francicso and Paris offices. This means that users never encounter outsourced call centers. Phone support is available for Pro and Premium plans. DaCast call response time is generally a matter of just a few minutes. Finally, DaCast offers chat-based 24/7 support at all plan levels. DaCast offers three tiers of services billed annually. Unlike many other OVP, DaCast includes all features in all tiers of services. The Starter plan costs $19 per month. It offers 100 GB of bandwidth and 20 GB of storage with email support. The popular Pro plan starts at $125 per month. This package includes 2,000 GB (2 TB) of bandwidth, 200 GB of storage, and phone support. The Premium plan costs $289 per month. This plan offers 5,000 GB (5 TB) of bandwidth, 500 GB of storage, and phone support. For monthly (rather than annual) billing, the Pro and Premium plans cost $165 and $390 per month, respectively. DaCast also offers overage bandwidth. This costs $0.30 per GB for the Starter and Pro plans, and $.20 per GB for the Premium plan. For event pricing, pre-paid bandwidth for events starts at $.06 per GB starting at 20 TB. All of these plans include all of DaCast’s features. Finally, DaCast offers a 30-day free trial (no credit card required) with most of the features included. When comparing OVP, one of the primary advantages of DaCast is the inclusion of live streaming services with all packages. DaCast also offers many of the great features included with Vzaar and Wistia. Instead of signing up for both a live streaming provider and a video host, DaCast combines these elements into one handy platform. Streaming with DaCast is quite simple. First-time users can begin live streaming with relative ease in around 20 minutes. Additionally, DaCast offers audio-only streaming for internet radio and other uses. There are many different video hosting services out there. As this article comparing OVP describes, each offers a variety of benefits and drawbacks. Our goal is to make your decision-making process easier with comprehensive platform reviews. After reading, we hope you’re feeling more comfortable to choose the right OVP for you. Considering giving DaCast a try? We recommend trying out our 30-day free trial (no credit card required) to test all the DaCast features for yourself! For regular tips and exclusive offers for live streaming, sign up for our LinkedIn group. Thanks for reading, and good luck with your streaming!